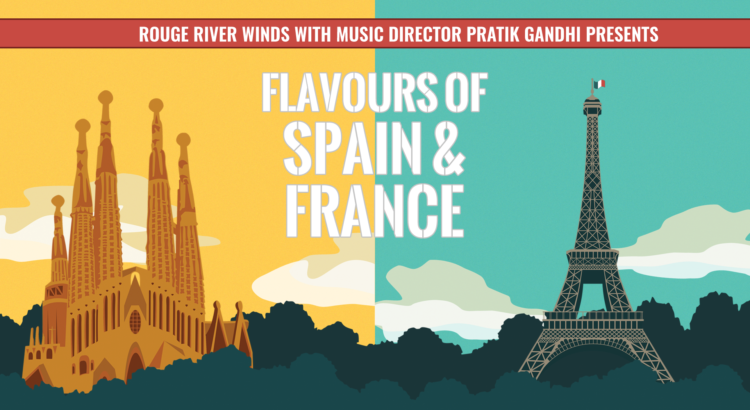 Join the Rouge River Winds and music director Pratik Gandhi as we present music from Spain and France! Featuring masterworks for band by Alfred Reed and Darius Milhaud, as well as transcriptions of pieces by Debussy and Stravinsky. Tickets available at the door: $15 adults, $10 students/seniors.